Ultra Lightweight, Ultra Rigid Water Fed Pole, designed and manufactured to be the lightest, stiffest water fed pole money can buy. If you are looking for an extremely light, ultra rigid and strong water fed pole then this is the one to buy! 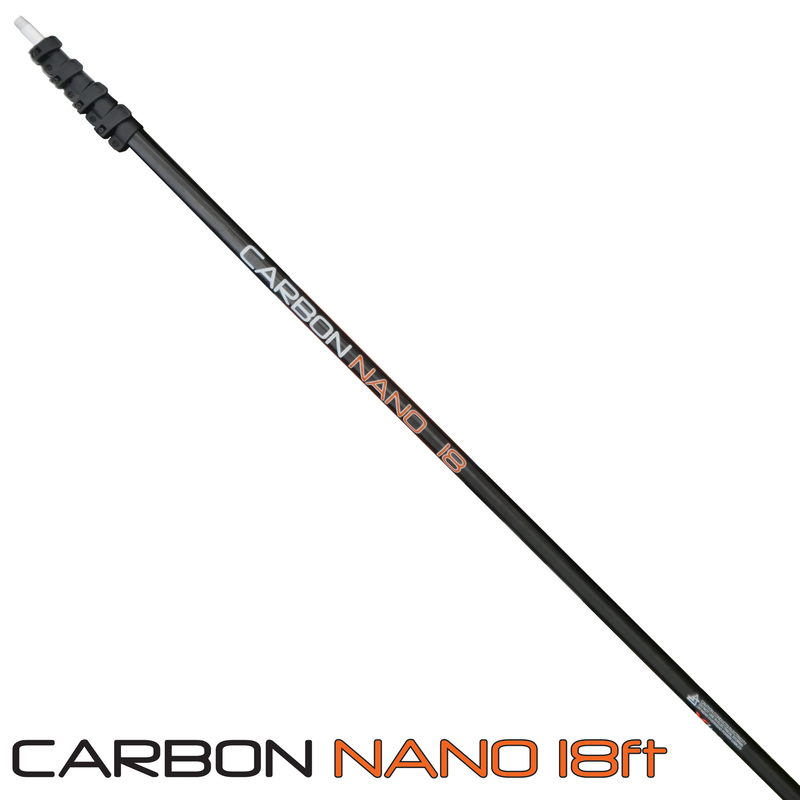 This new Carbon Nano Pole is the best choice for window cleaners who want the best of the best. These water fed poles can be in your hands for 6 hours plus a day, so choosing a pole that will help speed up your work, help you to access areas you couldn't with a standard WFP and allow you to finish your day earlier feeling fresher and less fatigued. If you suffer from any health conditions/pains such as RSI or tennis elbow caused from using water fed poles on a daily basis, then choosing a light, rigid WFP can dramitically help reduce, eliminate or prevent these conditions. With this pole you can use any one of our water fed brushes (which all weigh less than 300g's - Pick your Free Brush when ordering this pole), as we have made this telescopic pole to be as strong and durable as possible while being as light and rigid as we can.